Recently my friend, Caroline Weiss, snapped this picture of Elvis Presley’s grave on her visit to Graceland, Elvis’ Memphis, Tennessee estate. It made me think about the annual Forbes list of the top earners from the grave. Yes, those entertainers who are bringing in the most money AFTER their careers and their lives ended. The top performer this past year was the King of Pop, Michael Jackson, with the King of Rock ‘n Roll, Elvis Presley, coming in a distant second, but then Elvis has been dead for over 36 years! 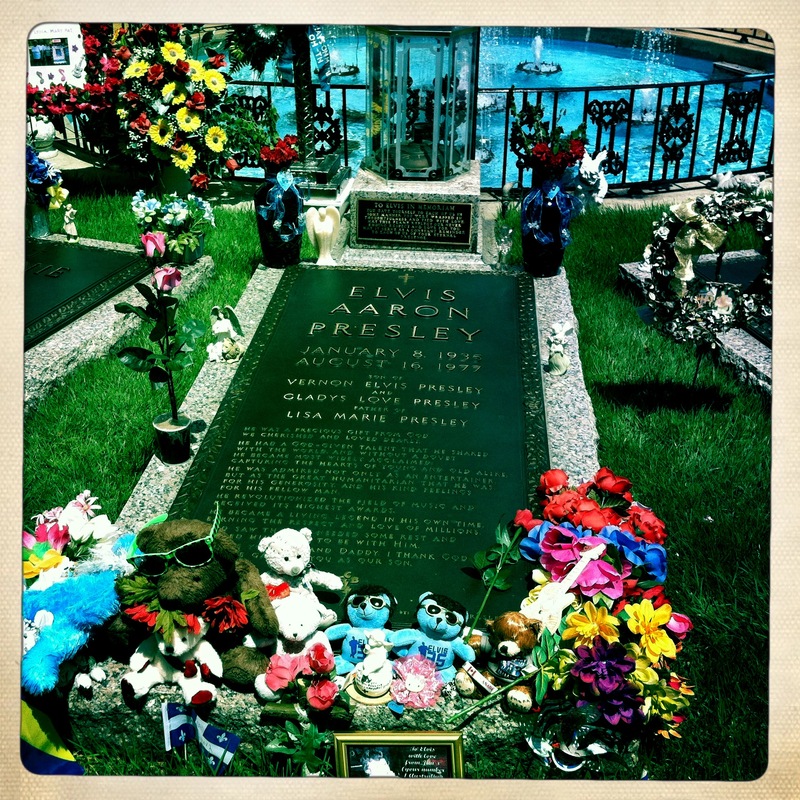 Elvis Presley is buried on his estate. A relatively plain bronze grave ledger covers the memento-strewn grave that thousands flock to see every year.